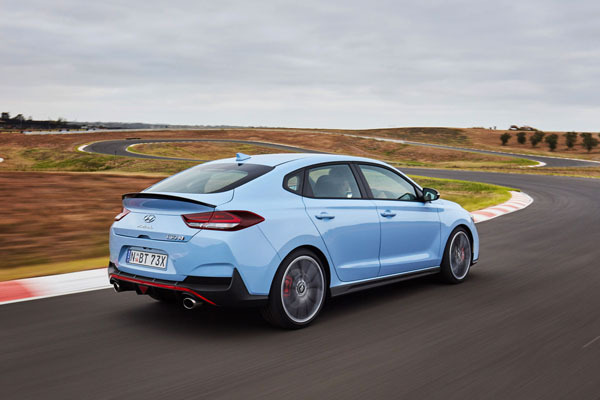 The Hyundai i30 Fastback N is the second offering from the Hyundai N Performance Division. 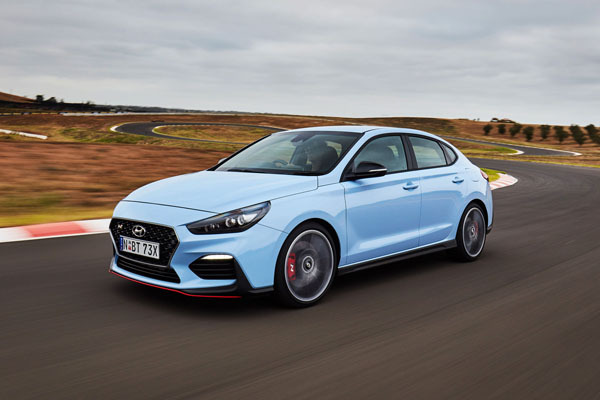 Developed from the i30 N hot-hatch, the Fastback has a seven per cent aerodynamic drag reduction compared with the hatch. It has the same 202kW / 353Nm 2.0-litre turbocharged four-cylinder engine as the hatch. Overboost increases torque to 378Nm at full throttle for up to 18 seconds. The zero to 100 km/h time is listed at 6.1 seconds and the hot Hyundai is electronically limited to a maximum speed of 250 km/h. The 2.0-litre turbo-petrol engine drives the front wheels via a six-speed manual and an electro-mechanical limited-slip differential (E-LSD). 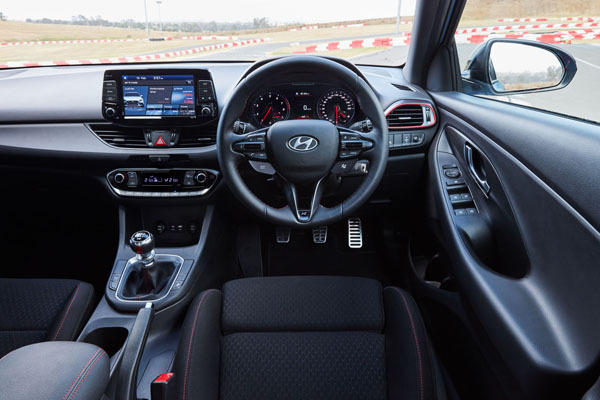 Standard i30 Fastback N features include an active variable exhaust system, electronically controlled adaptive suspension and launch control. It has 19-inch alloy wheels fitted with specially developed Pirelli P-Zero HN 235/35 R19 tyres. Like the N hatch the Fastback N factory warranty covers non-competitive racetrack driving and the fitment of high-performance semi-slick tyres. The cabin has sports front seats, a leather-appointed steering wheel, alloy sports pedals, N race computer and instrument panel-mounted shift lights. Red accents are used on seat stitching, gear lever boot and gear knob and leather steering wheel. There are even red surrounds for the driver and passenger side air conditioning outlets. The new i30 Fastback N is available in six colours, Shadow Grey is this model’s signature shade. Also offered are Polar White, Phantom Black, Engine Red, Micron Grey and the N-specific Performance Blue, as worn by Hyundai’s WRC contenders. The i30 Fastback N starts at $41,990 MLP. It is offered with a pair of option packs: the Luxury Pack ($3,000) and the Luxury Pack with Panoramic Sunroof ($5,000).